The latest version of the Android: Netrunner NAPD Most Wanted List is now online! In addition to a few notable additions and subtractions, today’s update includes changes in how the list functions and what that means for players. Read why these changes were made from the developer below! For a little over a year now, the NAPD Most Wanted List, introduced by Damon Stone, has been an invaluable tool in helping to curate the metagame of Android: Netrunner. As the game has grown, so has the Most Wanted List, adding cards when deemed necessary. To keep pace with the ever-changing nature of a Living Card Game®, the Most Wanted List is changing in new and radical ways. The current form is a great solution for tuning cards that are a bit above the curve by reducing an Identity’s influence limit. However, some abilities and combinations are beyond its scope. As such, I’d like to introduce two exciting modifications: universal influence and tiers. The first change comes in the form of how the Most Wanted List affects influence. In the new system, the Most Wanted List’s influence relationship is placed on each individual card. Instead of subtracting 1 influence from the Identity’s influence limit, pips of ‘universal influence’ are now added to cards. Much like its previous iteration, universal influence applies even to in-faction cards. For example, Yog.0 currently reduces your chosen Identity’s influence limit by 1. Under this new change, your Identity’s influence limit would remain as it is printed on the card, but Yog.0 would cost an additional influence to include in your deck. If you choose a non-Anarch Identity, Yog.0 would cost 2 influence to include in your deck. If you choose an Anarch Identity, Yog.0 would cost 1 influence to include in your deck. 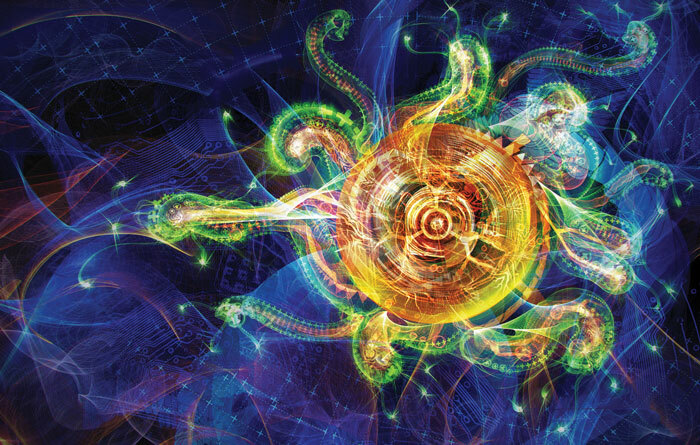 The second change comes in the form of different levels of universal influence. Some cards are too powerful to be modified by a shift of only 1 influence, creating the need for flexibility in addressing them. Levels add an amount of universal influence to a card equal to that level. For instance, if a card is on level 1, it gains 1 universal influence. If it’s on level 3, it gains 3 universal influence. Levels greatly aid in accurately curtailing each and every card’s potency. 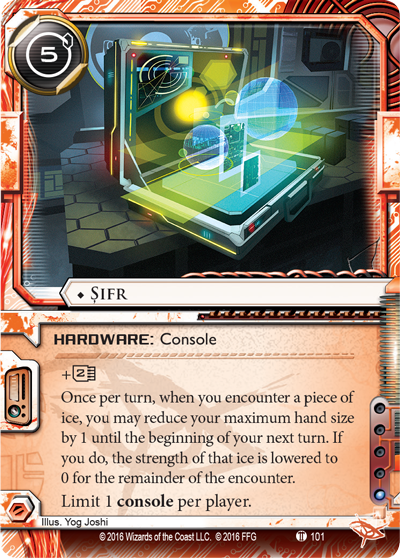 For example, Sifr is a new card to the NAPD Most Wanted List. Adding it to the previous version of the list would most likely have done little to reduce its influence on the meta. Under this new system of levels, Sifr is now a significant investment, adding 3 universal influence to any deck for every copy played. For the first iteration of this new version of the Most Wanted List, we are starting with Level 1 and Level 3, placing cards as we have deemed appropriate. However, in theory, there could be any number of levels. As time goes on, it is entirely possible that new cards may require new levels, or cards on the list may move up or down levels. A Living Card Game needs a living Most Wanted List. I hope you’re as excited for these changes as I am! Download the new Android: Netrunner NAPD Most Wanted List now to see it in its new form. If you are someone who plays in tournaments, this is a must-read. 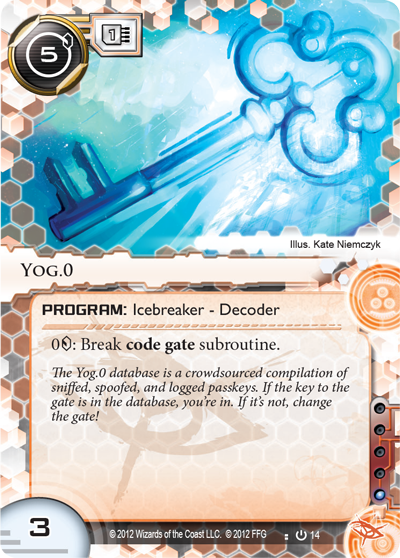 As always, game rules, tournament regulations, and other support materials for Android: Netrunner can be found on our Android: Netrunner page.